The first Meizu smartwatch sketch appeared earlier this week, and we said then that sketches are often a hallmark of what's to come (photos and an announcement), though not every company's sketches come to fruition. Well, we were right on the money it seems, seeing that we now have some real life photos of the first Meizu smartwatch as well as a photo of the Meizu invite to the press for the big event. First, let's get to the invite. The invite is seen as a white envelope with blue lettering on the front and back. 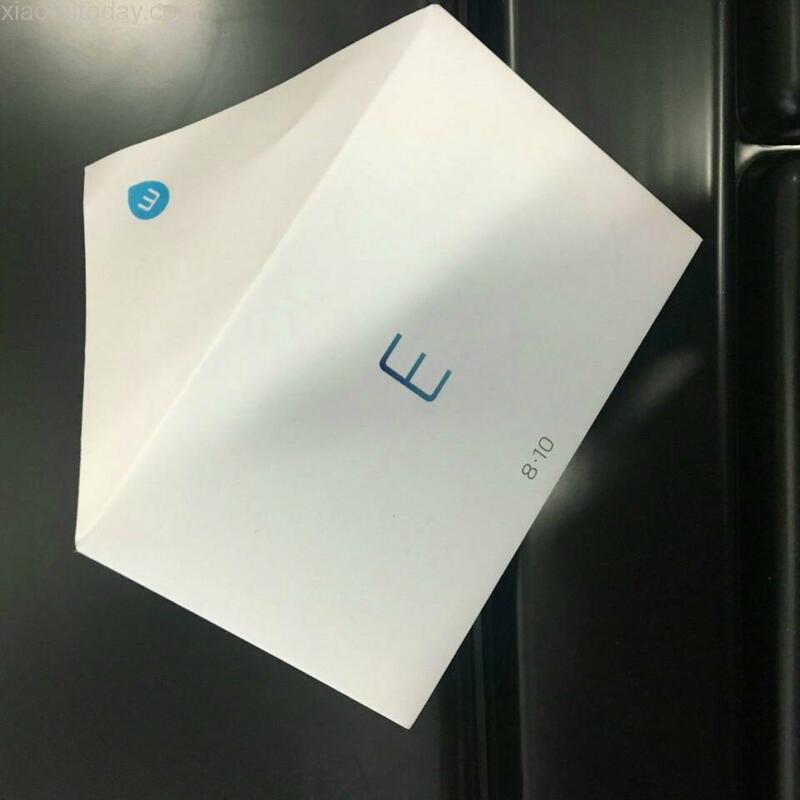 On the front, Meizu has placed an "E" (we're presuming this is for "Event") with the date "8 10" (referring to August 10th) and the "meizu.com" website name on the back of the invitation envelope. So, we can safely infer that there'll be an August 10th unveiling of the very first Meizu smartwatch. Now that we know there'll be an official event and that a Meizu smartwatch lives, we can cover the specs and watch photos. 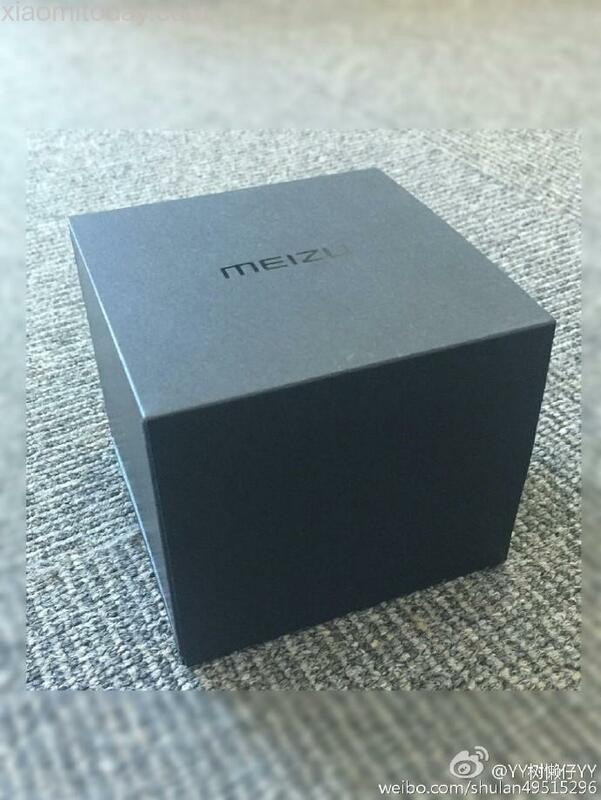 The first photo shows a Meizu smartwatch box, simple but elegant. Next, the images that make one large image show a smartwatch similar to the circular ones we've seen on the market with nice premium-built wristbands (leather), while the next large image shows rubber wristbands and an array of colors that can't be mistaken due to their femininity (we know these Meizu smartwatches will be for women only). There are three colors: black, white, and a light blue/green wristband. These details match what we said about the Meizu smartwatch sketch: there would be men's and women's watches, and that there would be a few different styles. Meizu seems to have gone for only leather bands here, as there isn't one stainless steel one among them. Perhaps Meizu uses a few here and plans to announce the stainless steel model on August 10th as a surprise. At any case, the Meizu smartwatch is real and is headed to market. We don't know much yet, but we'll bring you more coverage as more specs and features leak. 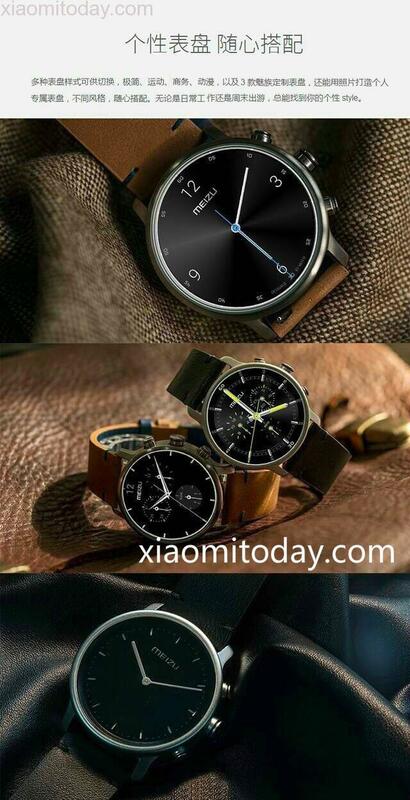 For now, take a look at the first Meizu smartwatch photos below.